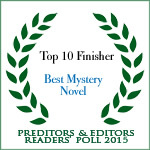 My novel, “Murder Down Under” is nominated for Best Mystery in the Preditors & Editors Reader’s poll. 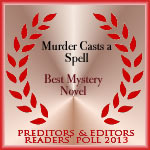 I’d love it if you would consider following the link below and giving “Murder Down Under” your vote. 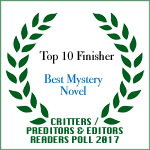 Only one more day before the poll ends. 3. Scroll down further and type in your name and your e-mail in the spaces provided. 4. Scroll a little further to the box with the little book next to it. Type in the name of the author you see on that book (not Nancy’s name). 7. click the first url. A page will come up that says “success” This means your vote is validated. These steps are needed to ensure your vote is not scam.